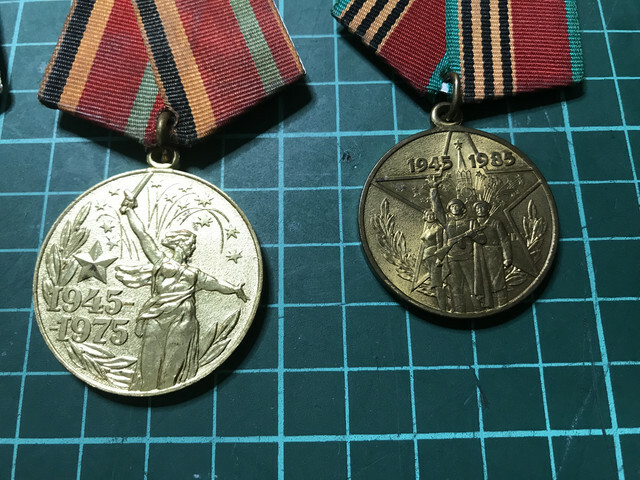 Does anyone on here know anything about them? They're all just base metal. 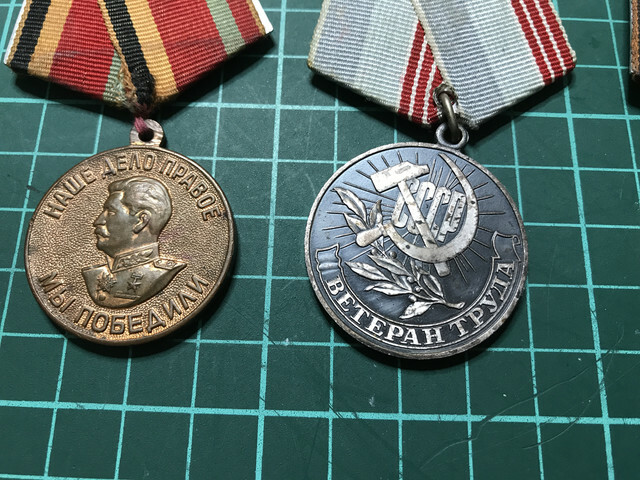 I looked up one of the medals, it is selling for two Euros. Below is a link to start you off, on each listing to the right is translate this page. Thanks Gasman! I was getting nowhere with them myself. 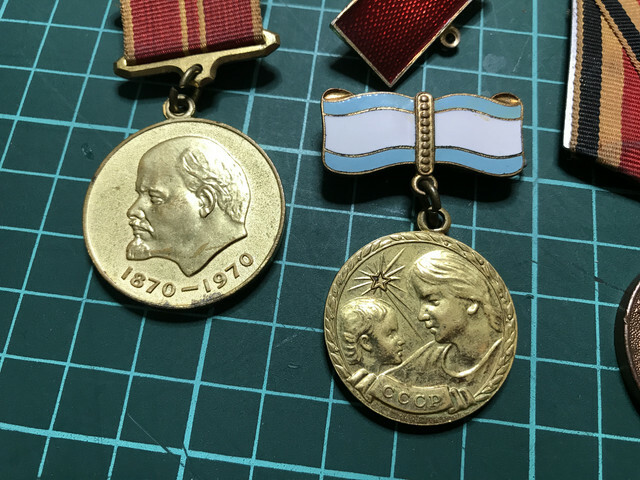 Unfortunately like the US, the former USSR gave medals for remembering to brush your teeth or not farting for 24 hours. 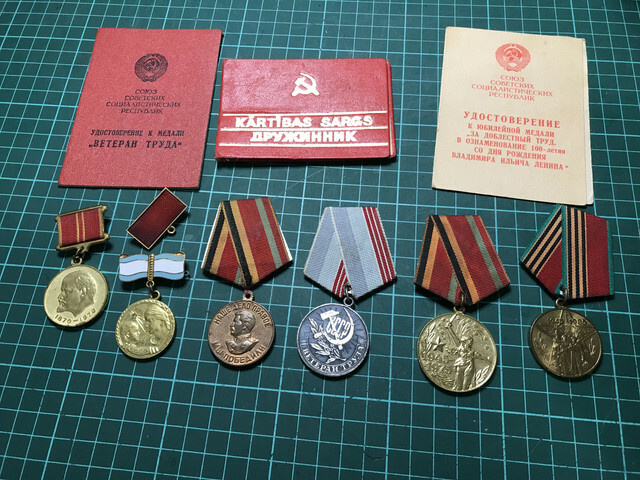 I had a lot I brought back from Russia and Ukraine with me in the 90s but gave them away apart from one I keep spotting in the garden Strange but true.